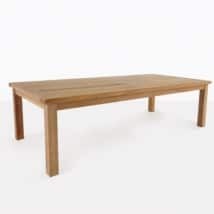 New this season to Teak Warehouse! 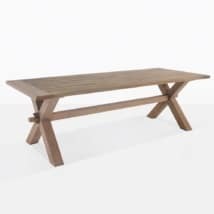 This table is made from high end recycled teak, so it is perfect for outdoor entertainment such as breakfast, lunches, dinners and anything else in between. 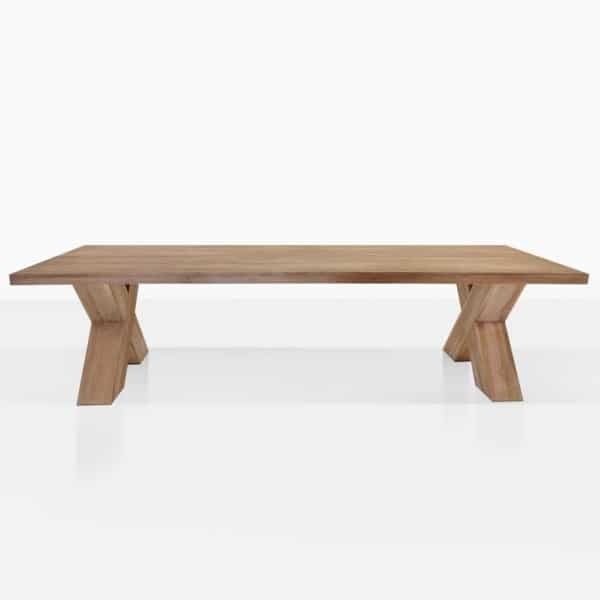 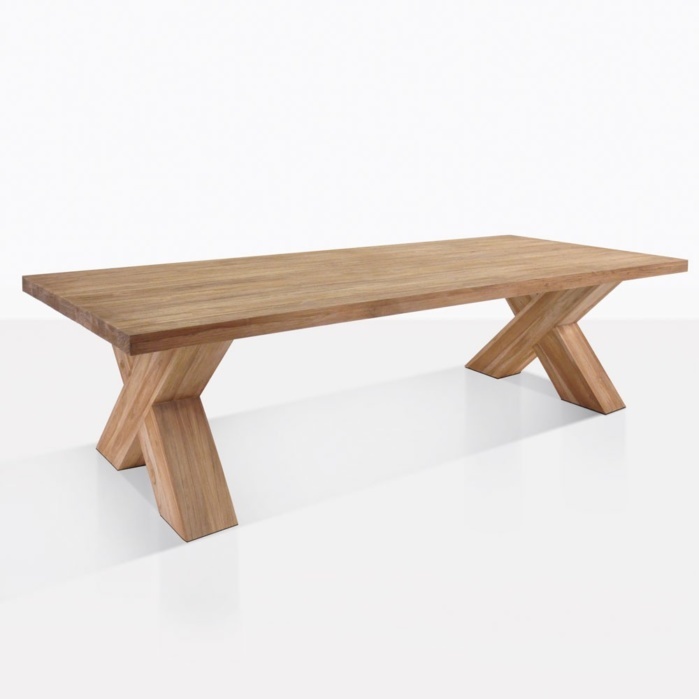 This table sets itself apart from many other teak tables because of it’s cross legged design. 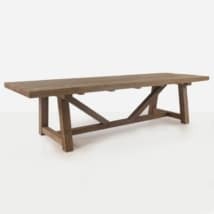 With it’s butcher’s block look, it is perfect for factory restaurants and industrial settings or your favorite place in the garden.